特定非営利活動法人NPO SEANSCLUB was officially approved by the Tokyo Metropolitan Government on the 28th of March 2017 and Incorporated by the Japanese Legal Affairs Bureau on the 6th April 2017. The goal of SEANSCLUB is to enable individuals with Down syndrome to reach their full potential and become respected members of their community. Start and manage a Special Needs Learning Centre based on United Kingdom educational methodologies and curricula. Raise awareness in Japan of advanced programs for Down syndrome education, and act as a support group for families with Down syndrome children. Arrange and facilitate enriching activities and programs for children with Down syndrome and their families. Start a mini Respite program with volunteers to provide help to parents so that they can take short breaks. Sean's Club enriches the lives of Down Syndrome children. You can purchase online now and receive a digital certificate and thank you mail. Click here. Purchasing smiles gives automatic membership to Sean’s Club. Sean’s Club Policy: If you don’t feel good about your Smile purchase you will get a full refund. 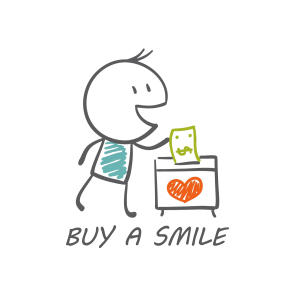 The purpose of Buy a Smile is to enhance the quality of life for children with Down Syndrome.